You are buying 1x 18W led flood light. It has special lens to give a combination of flood and spot so you can get the light where you need it as well as flood the area so you can see what you are doing and where you are going. Comes with brackets that can be adjusted to any angle for easy mounting and adjusting. Can be rear and base mounted. 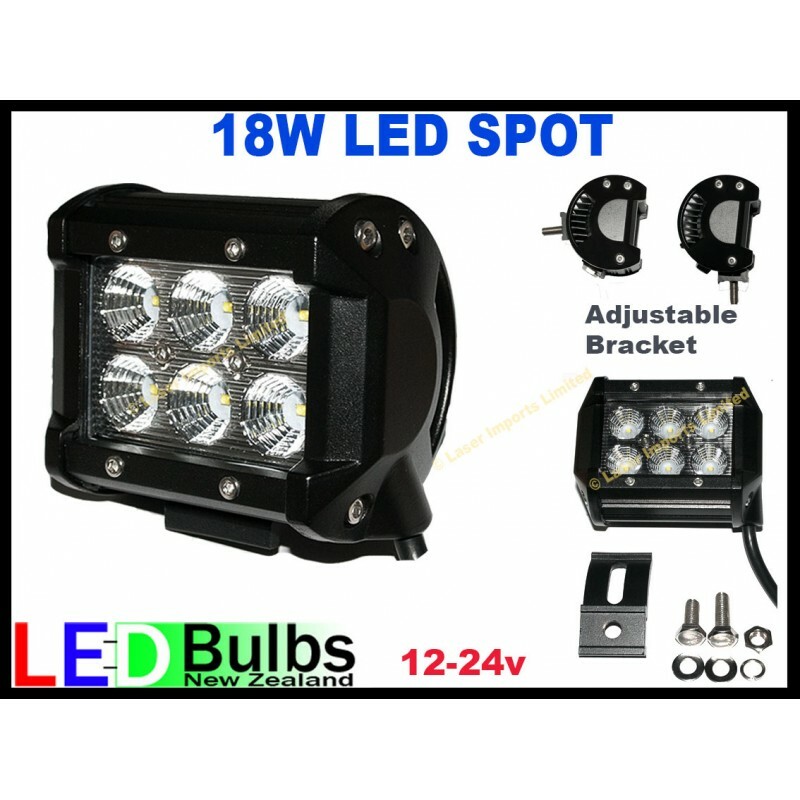 Great for deck lights, 4wd lights, spot lights for hunting rabbits, led work light, digger lights, DRL, reverse lights and anywhere where you need additional lighting. Can also be used on Boats, horse floats, caravan outdoor lighting, landscape lighting and tuck lights. See our other listings for led work lights, amber beacons, led spot lights, led light bars 15W, 27W, 40W, 60W and 120W. 12 Month Warranty, 7 day money back guarantee if you return it in new condition so that it can be re-sold. We can supply a GST receipt if needed.